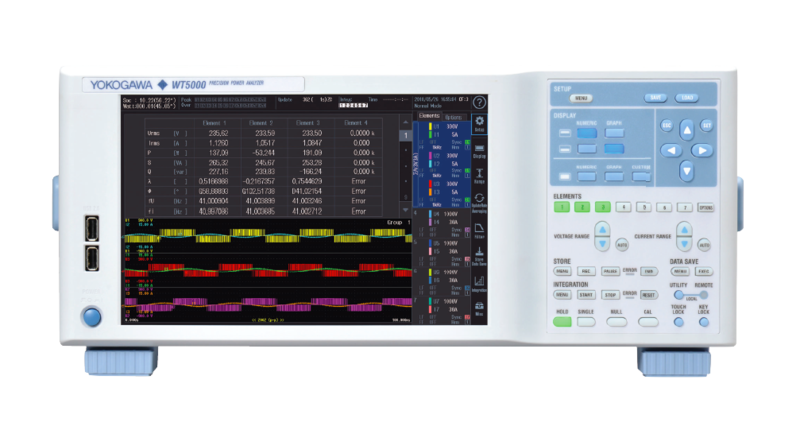 The WT1800 and WT3000 series digital power analyzer offer two calculation methods, Type1 and Type3, for apparent and reactive power. The WT will first calculate the RMS voltage Urms, current Irms, and active power P. Then the WT will calculate apparent power S, power factor PF, and reactive power Q. The WT will first calculate the RMS voltage Urms, current Irms, active power P and the harmonics of reactive power Q. 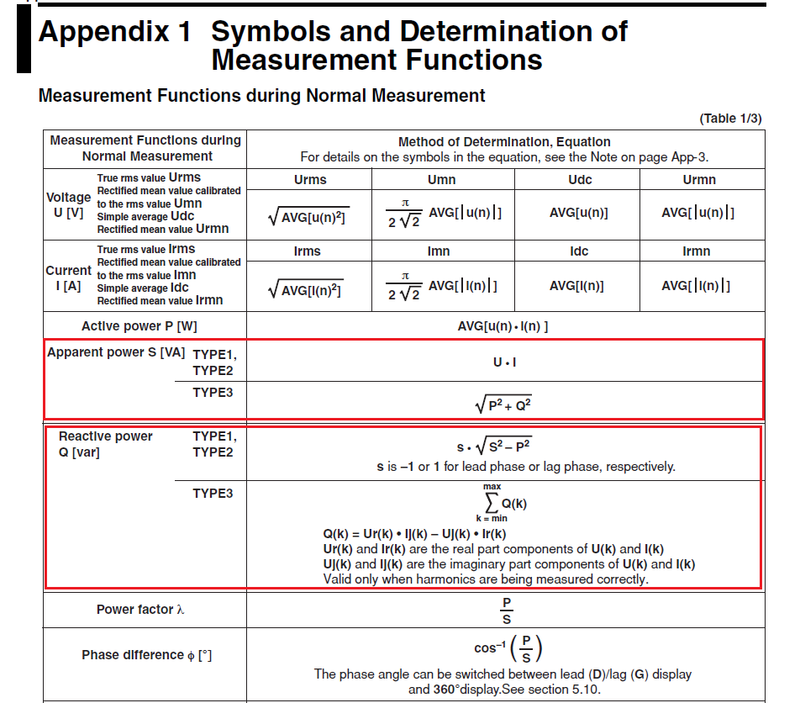 Then the WT will calculate the apparent power S and power factor PF. Q is calculated to include all the harmonic components.